The Executive Director of the Somaliland National Youth Organization (SONYO), Mr. Saeed Mohamed Ahmed, attended the International Visitor Leadership Program held by the US Congress in Washington, and held a series of meetings with high profile members of the US government. The Executive Director of SONYO, Mr. Saeed Mohamed Ahmed, being part of the International Visitor Leadership Program participants, has taken meetings and interactive sessions with high profile members of the US government. He attended an official breakfast at the Congress whereby he participated in a congress discussion on African youth leaders as change agents. The breakfast was provided by the Chair of the Congress Sub-committee on African Affairs. In addition, the Executive Director of SONYO has visited to the Office of the United States Agency for International Development whereby the Chief of Policy, Outreach, Strategy and Evaluation Unit of the African Bureau received and cordially welcomed the delegation to the USAID Headquarter in Washington DC. Saeed has also attended a debriefing session that was hosted by the Federal Electoral Commission. In the evening of yesterday, Saeed Ahmed was highly welcomed by the Somaliland Mission in USA and the Somaliland Community in US. The forum held at the Congress was a great opportunity for the African Youth in the International Visitor Leadership Program (IVLP). There were high profile diplomats including ambassadors, heads of missions and executive officers of development agencies who all attended in both the Congress breakfast and forum and who attentively listened to the expressions of the IVLP participants. The Executive Director of SONYO daringly interacted with the Congresswoman and had a brief but effective interactive and introductory discussion with the Congresswoman. 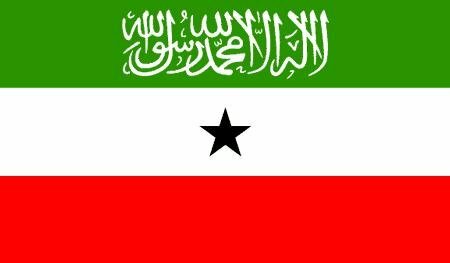 Saeed told the MP that Somaliland youth today need stood up to have prepare themselves for the leadership of their country by benefiting from the home-grown democracy and peace that Somaliland has been building for the last twenty years. He encouraged the Congresswoman to draw the attention of US policymakers to the significance of investing in the growing generations of Africa and in particular to the support of the empowerment and employment of the Somaliland youth who form the majority of country’s population and who embrace the peace of Somaliland—which is not only good for Somaliland but also good and safe for the whole East Africa region and the even rest of the world. The Congresswoman admired for the initiatives of the youth and how SONYO is also dedicated to “think strategically, act proactively and operate vibrantly”. The African youth leaders in the IVLP program also visited to the USAID Office. The Executive Director of SONYO, being part of the International Visitor Leadership Program participants has delivered a very brief word on the status of the Somaliland youth, their needs and their way forward to getting empowered to their potential. Mr. Saeed, the Director of SONYO also praised the significant role of the USAID when it comes to the consolidation of the civil society initiatives on the ground. He said: “USAID has done a great and wonderful job. It supported many social and economic growth projects that were conducted in Somaliland for the last two decades. The current Somali Youth Leadership Initiative (SYLI) is one of those projects. However, USAID is needed more than it imagines. USAID needs now to acknowledge that long term, locally-owned extensive programs need to be meaningfully funded and implemented in Somaliland so as to address the key and the hot issues of unemployment, absence of recreational and resource facilities and inadequate availability of spaces and opportunities for the youth to exercise their potential and voice up their concerns”. The debriefing session at the office of the US Federal Electoral Commission was also imperative and learning opportunity for the IVLP participants. The US federal level elections were analyzed and debated upon. In addition, the challenges that still face most of African states and hinder them from pursuing fair and free elections were also discussed upon. SONYO Director Meets The Kenyan Ambassador to US H.E. Elkanah Odembo and Botswana Ambassador to the United States, Madam Tebelelo Seretse. The Executive Director of SONYO had also got a “welcoming banquet dinner” from the Somaliland Mission in the United States and the Chairman of the Somaliland and the Chairman of the Somaliland community in the United States. On behalf of SONYO Umbrella leadership, we are so grateful to Ambassador of Somaliland to US, Mr. Rashiid Gaaruf and Chairman of Somaliland Community in US, Mr. Haashi Ismail, for their warm welcoming and encouragement by standing side by side with SONYO Umbrella in US to support our honoured CED does his job smoothly with full motivation.